Cape Cod Textile introduces our printed plastic line. 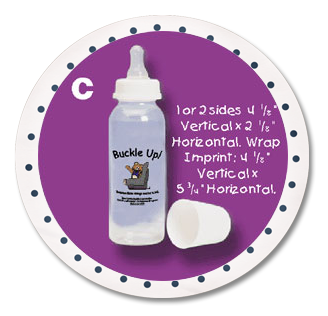 Now we can take our selection of Bib designs or your custom designs and print them on your favorite baby items! 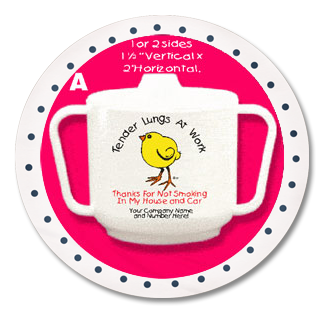 As their children grow, so will thier admiration of your thoughtful gift! 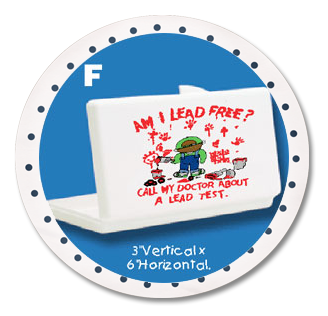 This easy to hold cup with push-on tight lid keeps spills from happening and keeps your message in view. Great news for Moms and Dads that have little ones. 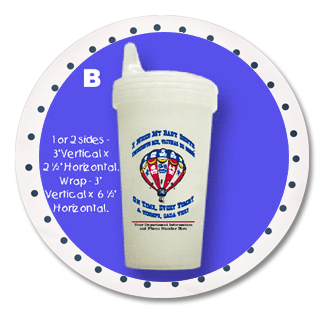 Our newest cup is spill proof because of it’s cleanable valve system that keeps the liquid in the cup. We also put Ounce Markings on the cup so you always know how much Junior is consuming. Parents will notice your ad message with every feeding. The clear bottle is the perfect billboard. Ideal for Mon’s on the go or for storage of your favorite snack or widget. The large lid screws on and features a snap up and down opening at the top for easy pouring or for use with a spoon. Babies give your advertising a jingle. 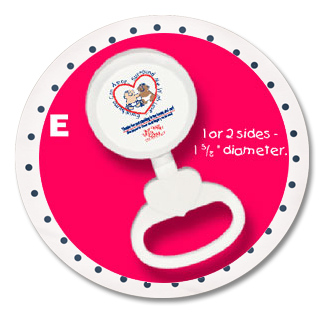 No sharp edges and a soft, easy to grip heart shaped handle make the baby rattle ideal for teething. 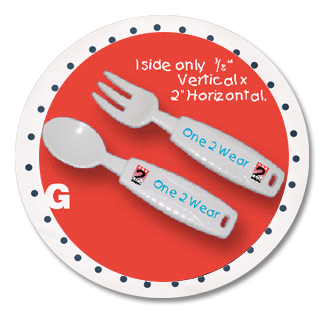 Our fork and spoon set is unique in shape for little hands. Ideal for kids at home or on the go.